It is your responsibility as a parent to teach your kids about safe firearm handling, whether or not you have one in your home. The latest Census Reports confirm that about 49% of the households in the U.S. contain a firearm. So if your son or daughter is visiting a friend, maybe those folks have not been as careful to instruct their household about safe firearm handling. Don’t let your child be uninformed. 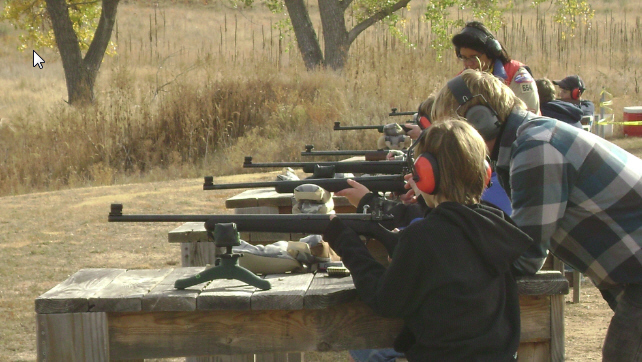 Once you, as a parent or guardian, are confident that your child is mature enough to understand the responsibility of gun handling and shooting, we will welcome them in any of our Courses. The shooting sports, whether it’s pistol, rifle or shotgun, are something that everyone in the family can enjoy and makes for a memorable and fun day!